I support Peace Mala for its positive message, which is very much needed in today's often turbulent world. 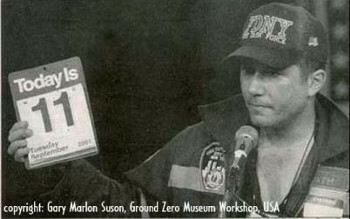 Gary Marlon Suson was the Official Photographer at Ground Zero for the Uniformed Firefighters Association and the Uniformed Fire Officers Association. His photographs have received a number of awards, including the prestigious Kodak Medallion, which he won at the age of seventeen. He has shot portraits of many celebrities, including Shaquille O'Neal and B.B. King (GarySuson.com Photography) and for two years was the personal photographer for artist LeRoy Neiman. 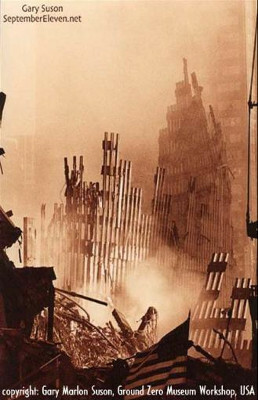 Eight of his Ground Zero images were reviewed for the Pulitzer Prize in 2003. Born and raised in the Chicago, Illinois suburb of Barrington Hills, Suson studied English at Southern Illinois University at Edwardsville before earning an acting scholarship to the University of Texas at Austin. He later moved to New York City to study acting with Uta Hagen and William Esper. Suson wrote and starred in the 1999 Off -Broadway play, 'The Taximan Cometh', as five NYC cabbies and was dubbed 'talented' and 'impressively versatile' by the New York Times. He also appeared Off-Broadway in 'Fool for Love', on the 'Guiding Light' as 'Ronnie' and works regularly as a voice actor in major motion pictures. Gary returns to the Off-Broadway stage in 2007 in an original play that is set at Ground Zero on Christmas Eve, 2001. Pam Evans met Mr Suson at the Ground Zero Museum Workshop in New York in September 2006. When she explained the Peace Mala project to him he was immediately struck with its vision and donated two signed posters of his amazing images for the winners of the Peace Mala National Awards for Youth. The posters were framed and presented during the Awards Ceremony at the UNA Wales Temple of Peace, Cardiff later that month. Mr Suson also sent the following message of support for the Peace Mala project and to the winners of the National Youth Awards. Gary Marlon Suson's message to the winners of the Peace Mala National Awards for youth 2006. I regret that I cannot be there to present you with these 2 special gifts from the Ground Zero Museum Workshop in New York City; however I wish to share my thoughts with you as you accept these gifts. We live in a world now in which the press and media highlight the tragedies and evils acts of this world over the love, goodness and people who are pure of heart that wish to make our planet a better place in which to live. Since September 11, we have found ourselves surrounded by fear, elevated terror threats on our televisions, higher security wherever we go and monthly, public statements from terror leaders issuing statements of impending attacks that we should look out for. It seems as though this is newsworthy to many major media but the special, smaller stories of good people performing kind acts seem to fall by the wayside. Kindness & Evil are both a quality that is owned by no color. It can come in any shape, any size, any color, and I support Peace Mala for the positive message it portrays. There is good and bad in every culture and every religion. Such qualities are personal traits & cannot be stereotyped as belonging to a specific race or creed. In July of 2005, I was finishing up work on the Ground Zero Museum Workshop in Manhattan; a special museum inspired by my trip to the Anne Frank House in Amsterdam, and features my most well-known images from Ground Zero where I served as the Official Photographer for the Fire Unions, when I ran into a problem. We had run out of money and we needed fifteen thousand dollars worth of museum signs and lettering which is on the walls which describe the images and artefacts from ground zero. We were due to open to the media in 15 days and were indeed scared. We were about to cancel the opening when a successful Muslim businessman named Babu Khalfan, who owns a sign company and had heard of the museum offered to donate all the signs and lettering, including the museum banner for outside. 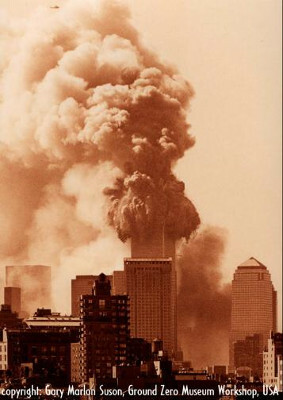 I was so shocked at this, and in the process, I realized that I too was a victim of 9-11 in a weird way; I believed that all Muslims didn't like America and they were our enemy. I found myself quickly ashamed at how I allowed Osama Bin Laden and 19 terrorists from an extremist sect of Islam to manipulate me into thinking ALL Muslims were like them. I was ignorant to think like this and my eyes were opened and I thanked God for bringing these special people to me, more for opening my eyes than for the gifts that they brought to the museum. One night before we were to open to the press, Mr. Khalfan' s son Mohamed stayed at the museum all night with his installation time to insure the lettering and signs was installed and ready for the next day. One year later, their other son Abbas worked hard to help us with the museum audio system. The Khalfan' s were the very first Muslim's I had ever known, and I later found out that Babu Khalfan is an Honorary Chief in the Fire Department of New York, just like me. This was a learning experience and taught me NEVER to judge one race or culture by the horrible acts of a few bad apples. I do not see the Khalfan Family as Jewish, Christian or Muslim; I see them just as good people. We can all fall victim to false stereotyping of innocent people - we can all fall victim to punishing others for the acts that they had no part of - and so it is important to see each person as an individual - to see past the color of the skin and deep into the heart and soul of whom we are speaking with. The mind controls our thoughts and who we are, - NOT THE PIGMENTATION OF OUR SKIN. When I found victims at ground zero after many months, I was unable to tell what color their skin was when I picked up remains that had no color. I only knew they were of my race; the HUMAN RACE. They once were living and breathing people whose lives were cut short by those who wish to take freedoms away from all those who possess it. In 2002, I spoke at the United States Postal Service's TRIBUTE TO HEROES Ceremony. In this presentation was a video of many of my images. After the emotional presentation, I was approached by many people wishing to thank me, when I was surprised by a comment. An African-American man walked up to me and said, "Why is it in all your photos I don't see one black man . . . why is it that you don't portray the black recovery worker at ground zero? Are you racist?". I looked at him quite surprised, and I responded, "I'm so sorry, sir. You must have me confused for someone else. You see, I'm color blind. I don't see colors. I only see people". With this, he had no response, for there was none. I hope that you accept these photographic gifts for your efforts to show the world that we are all created equal and all religions should and will hopefully one day live alongside one another in PEACE. 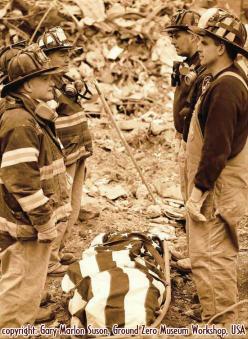 In 2002, I photographed a now-famous image of a single page at ground zero fifty feet below ground level in the dirt. The Bible was gone; left only was this single, wet, burned page and it was oddly from Genesis 11: The Tower of Babel. Lower down the page, the owner's highlighted verse in yellow still was readable. The words in yellow were: LET US UNDERSTAND EACH OTHER. LET US UNDERSTAND EACH OTHER - a powerful statement! While these images I give you are from a dark period in world history, I hope that they will inspire you to live by this motto that I read in this victim's charred Bible page, LET US ALL UNDERSTAND EACH OTHER.